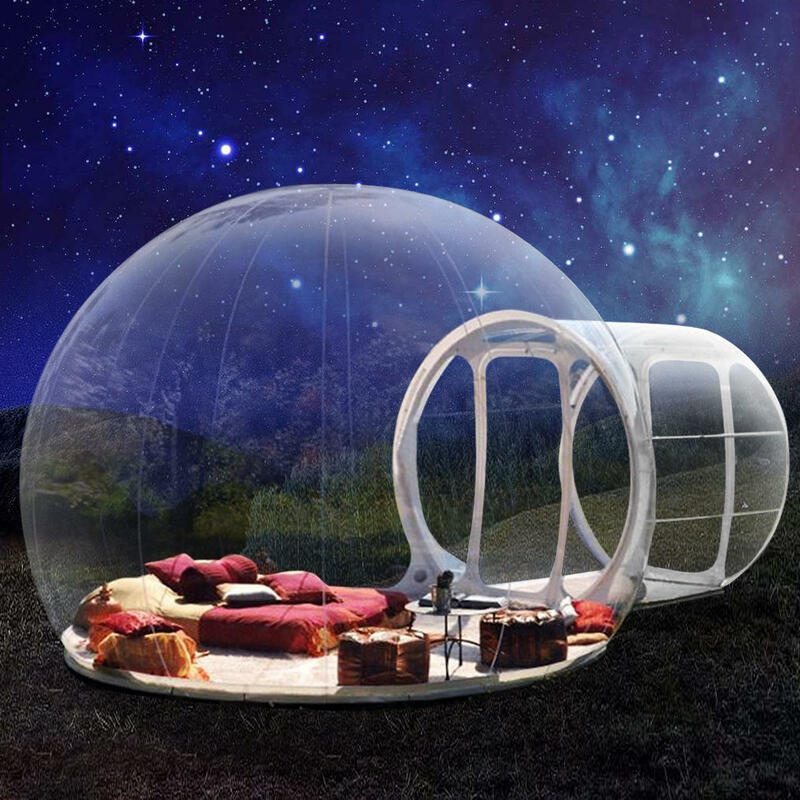 For just US$1,110.72 , buy 3.5m Inflatable Tent Tunnel Bubble Eco Home Tent Transparent House Luxury Dome with high quality and fast shipping worldwide. These tents are for those adventurers that want to have a magical night sleeping under the stars and wake up to the first rays of the rising sun. 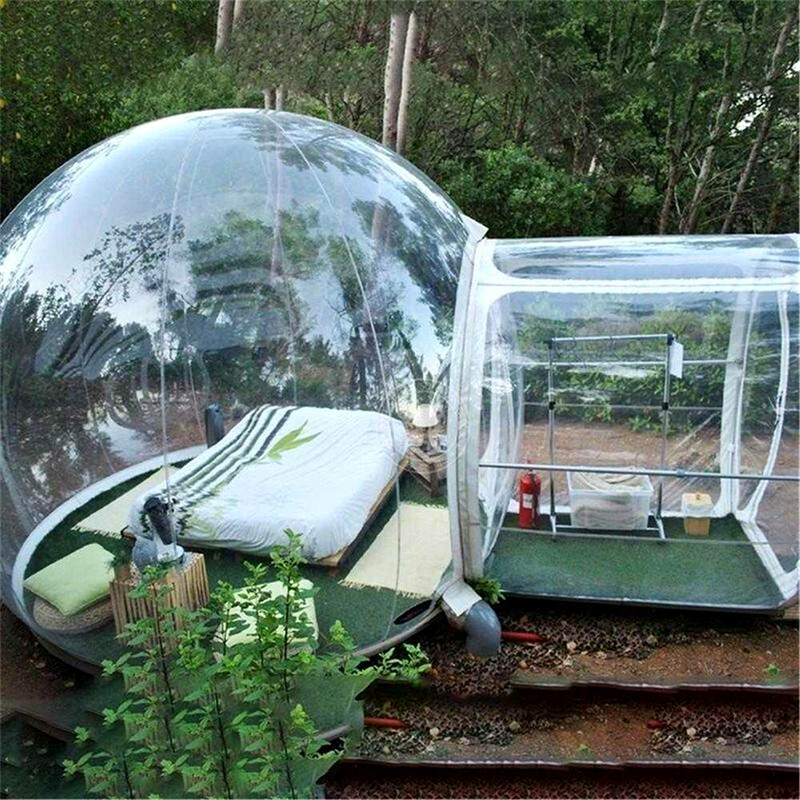 Imagine- sleeping outdoors and not having to worry about the cold weather, wind, insects or other possible threats. 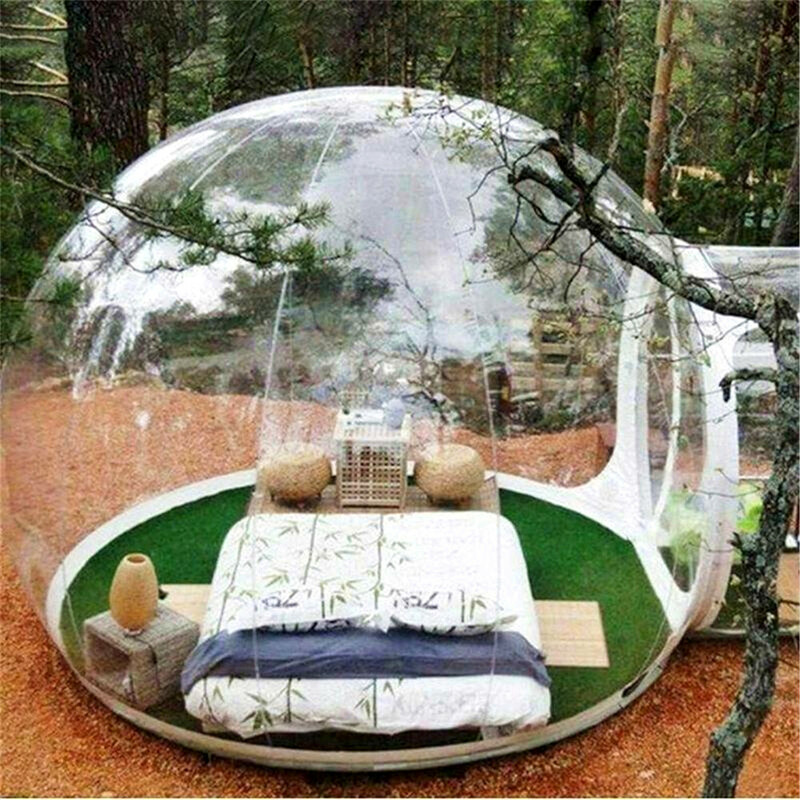 This portable bubble tent will give you the most pleasurable moments that you have ever wanted while providing you with a worry-free outdoor experience. Special design: This tent has an inflatable structure in the tunnel entrance. This means that when you open the door to enter or exit the tent, the tunnel will not collapse. 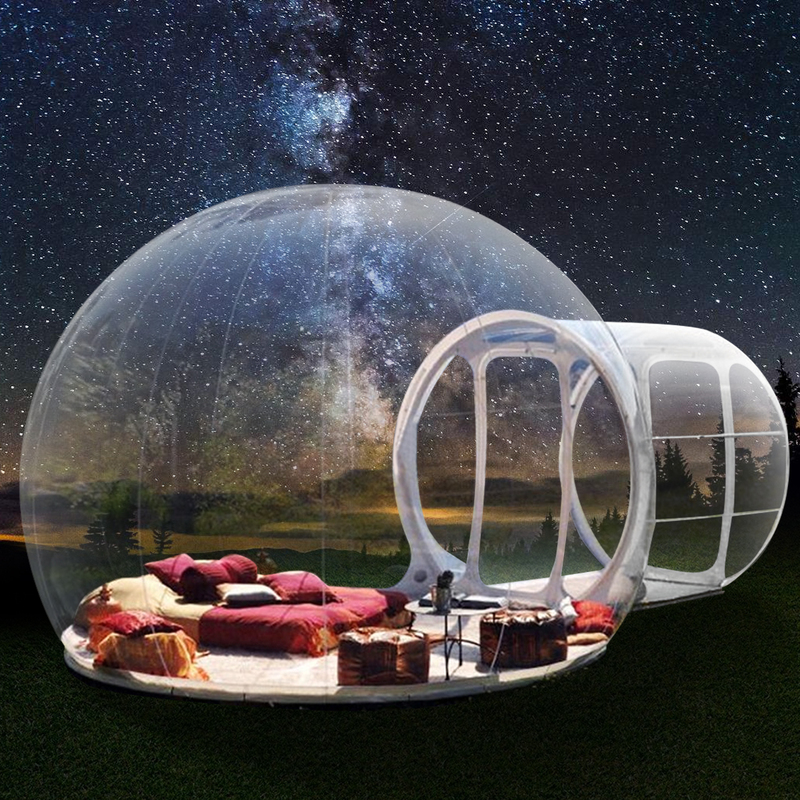 – Transparent tent brilliant for stargazing and appreciating the great outdoors! 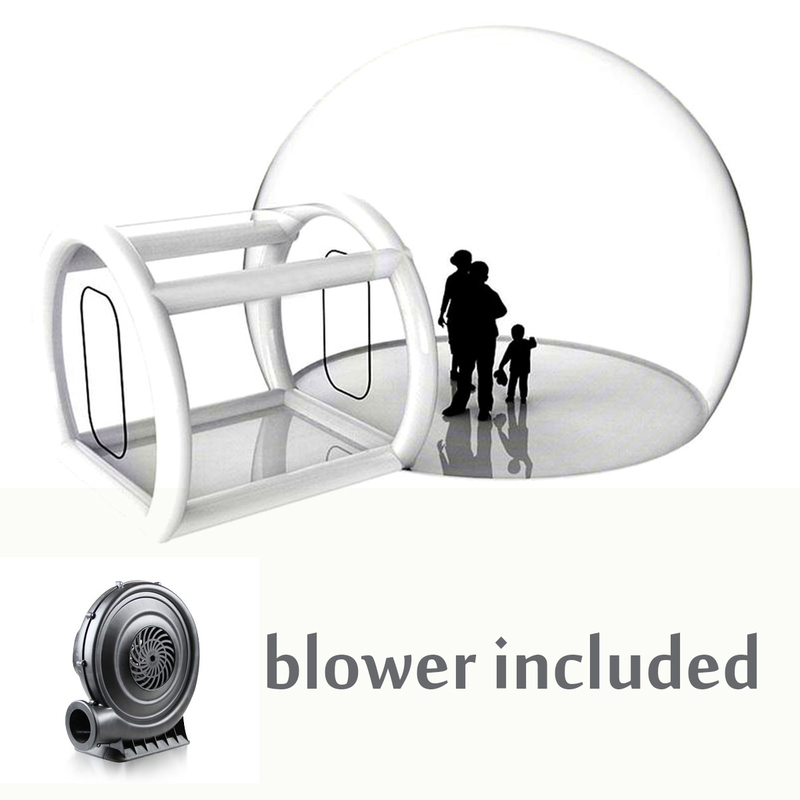 – The blower must be kept on to keep the tent inflated and for fresh air to circulate. 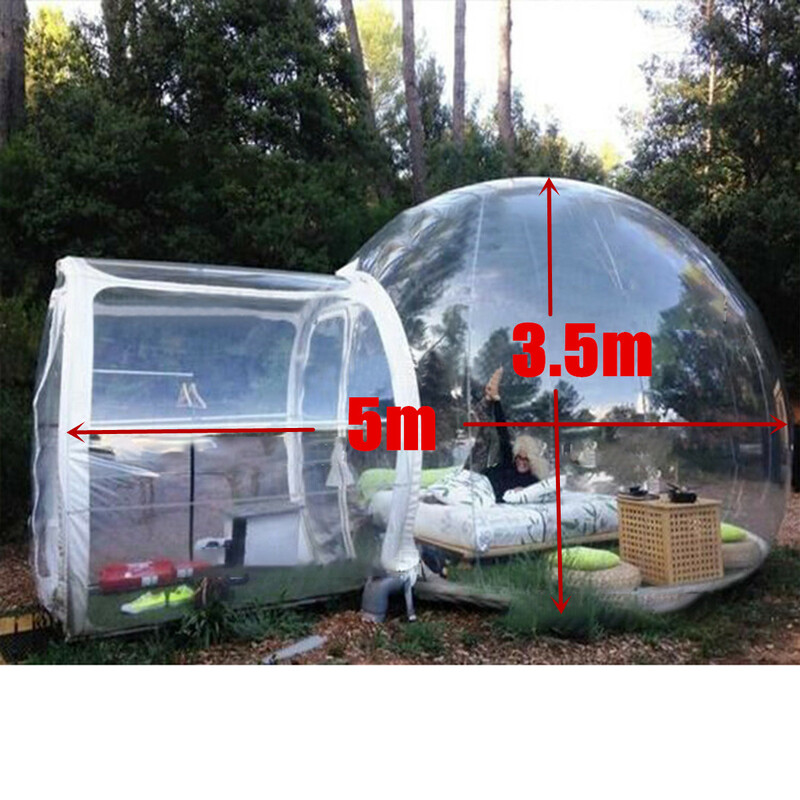 – The bubble tent has a diameter of 4 meters and the tunnel is another 2 meters. So the tent measures 4 x 6 metres in total and is made from 0.3mm pvc. 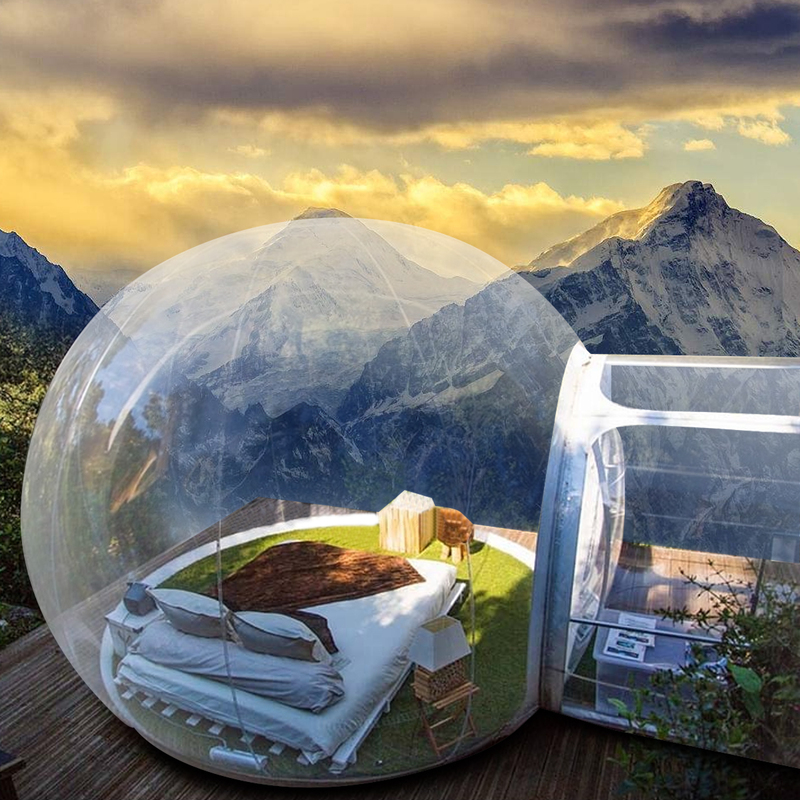 The ways of setting up your inflatable room or camping bubble or dome. 2. Pull the tent from the storage bag and locate the tarpauline. Put the tarp where you have decided is a suitable location for the bubble tent. It is wise to notice where water may run should it rain. Set up the bubble tent on high ground. 3. Pull the bubble tents material outwards in all directions to form a circle and make sure the bubble is setting on it&apos;s base. 4. Tie or stake down the dome or bubble tent to something secure, in case winds suddenly pick up. 6. Inflate the entrance chamber and install the chamber support rods. 7. The chamber allows you to go in and out of the bubble dome without losing inflation to the main bubble. Once the bubble room is inflated you use the blower to keep a constant light pressure that maintains the bubbles shape. 3.Power supply is not included.